Name the Skeleton Contest!! | Inez P.E. 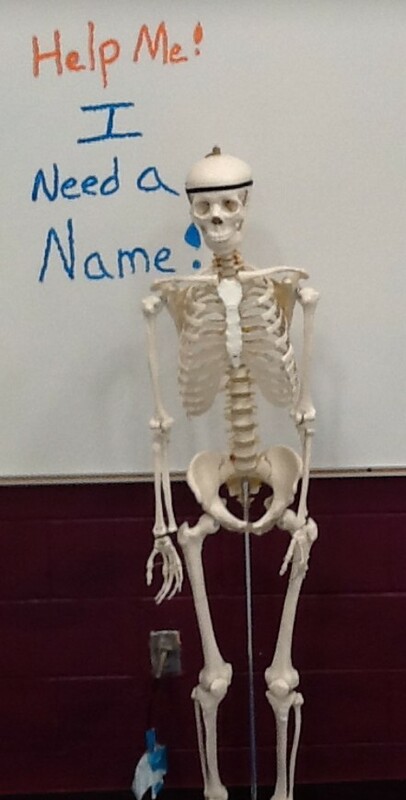 Every year the students of Inez get to name our class skeleton. Write a story about her or him. Tell where it came from and why it’s here. The more creative the better. You can even write the story with another student. The only rule is that the skeleton is a positive member of our school, so no blood and gore please. Every student that turns in a story will receive a prize. I will buy lunch for the person that writes the most creative story. Stories need to be turned in to Mr. Anderson by Friday the 26th.